Dr. Curt Cotton was born and raised in Sioux City, Iowa and spent all his summers locally on Big Watab Lake near Cold Spring. He graduated from Gustavus Adolphus College in 1972 and attended the University of Minnesota School of Dentistry, receiving his Doctor of Dental Science degree in 1976. Subsequently, he completed two years of duty with the United States Navy serving as a dentist for the Marines stationed at El Toro Marine Base in Orange County, California. 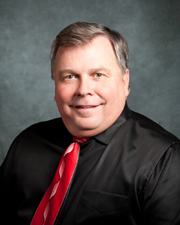 He returned to Minnesota in 1978 to begin his private dental practice in St. Joseph, MN. Dedicated to staying current, Dr. Cotton attends continuing education seminars on the latest dental products and techniques. He is a member of the Minnesota Dental Association (MDA) and the American Dental Association (ADA). He is also a member of the St. Cloud Dental Society, the Great River Study Club, and the Academy of Cosmetic Dentistry. Dr. Cotton and his wife, Karen have three grown children. He has a passionate belief in giving back to the community and volunteers in a multitude of organizations, including 32 years on the Board of Directors of Rich-Spring Ducks Unlimited and 30 years on the Board of Directors of Stearns County Pheasants Forever. He has been a +30 year member of Lions Club International, serving on the District Governor's Cabinet in many capacities. In his spare time, he enjoys hunting and fishing, golf, and of course, spending time at the lake with family and friends. 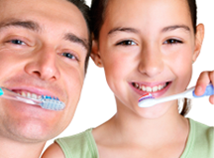 In his passion for excellence, Dr. Cotton is committed to provide outstanding dentistry to his patients of all ages. He takes pride in the professionalism of his long-time staff and the top quality services they provide to patients. We give people the confidence to smile their fullest again.